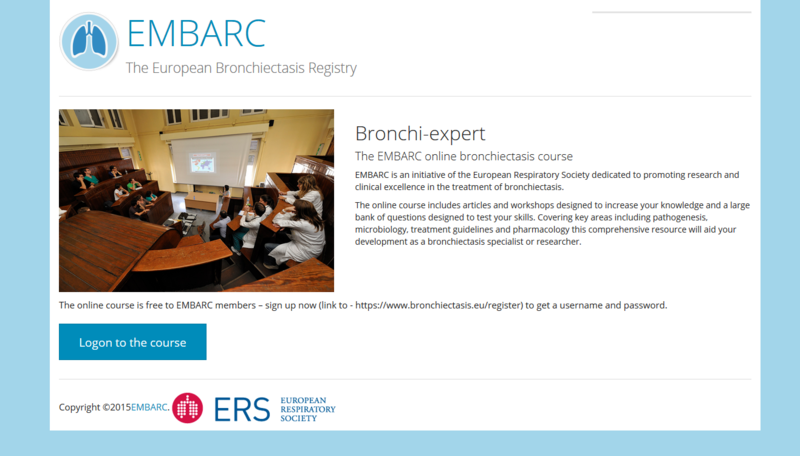 EMBARC is developing an online course designed to equip young physicians, specialist nurses and physiotherapists with the skills and knowledge to deliver world class bronchiectasis care. Developed by leading international experts in the field, the course includes presentations from key opinion leaders, practical demonstrations and written coursework. The project will support and enhance the European Respiratory Society Bronchiectasis Guidelines due to be published in 2016. Each module is supported by a large number of multiple choice questions designed to help you test, develop and apply your knowledge of bronchiectasis. we expert this online course to be available in 2016. Why do we need an education programme for bronchiectasis? Bronchiectasis is described in the ERS white book as “one of the most neglected diseases in respiratory medicine”. Despite this, bronchiectasis is a common disease encountered by all respiratory physicians, adult and paediatric, and where multidisciplinary management is paramount including nurses, physiotherapists, and a growing team including microbiologists, surgeons, transplant physicians and many others. Much of the burden of bronchiectasis falls upon primary care physicians with limited experience or knowledge of the disease. 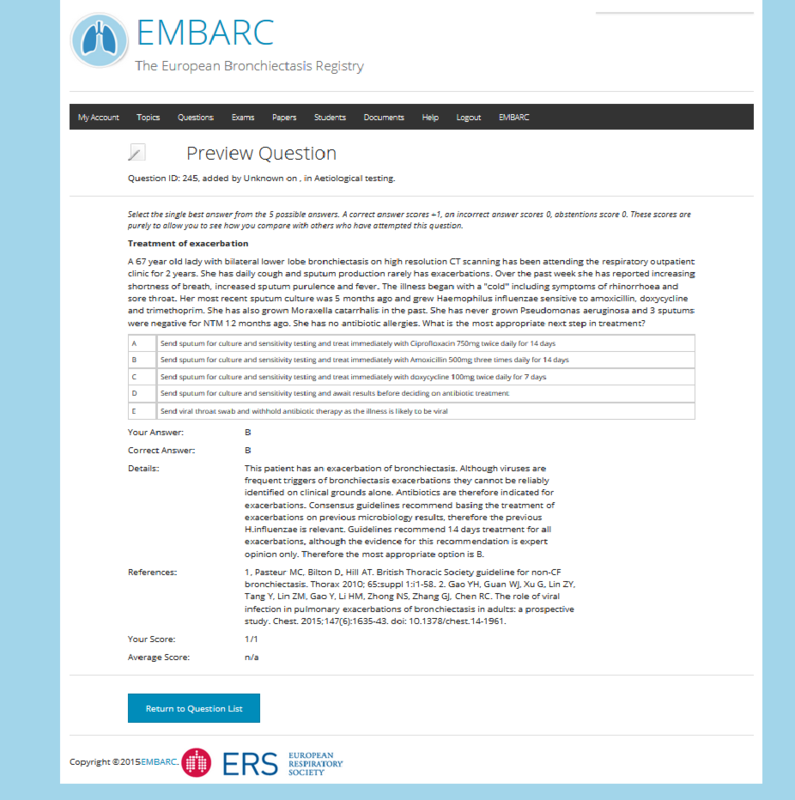 Most patients with bronchiectasis in Europe are not managed in specialised bronchiectasis centres and so do not have access to the resources that are available in some super-specialised centres in Western Europe. There is therefore a great need to provide primary care physicians, general respiratory physicians and physicians in training with high quality education regarding bronchiectasis. We have performed an extensive needs assessment and identified a strong desire for an educational initiative in bronchiectasis targeted at primary and secondary care physicians and associated health professionals managing patients with bronchiectasis. - When asked for the most important priorities for improving bronchiectasis clinical care, patients identified “improve awareness of bronchiectasis in community care services” as their number one priority, with 96% of respondents rating this “important” or “very important”. On this basis, there is a strong mandate from physicians, allied health professionals and patients for an educational programme focussed on bronchiectasis.